Well, the night of the 2016 election is turning out to be a real nail biter, isn't it? There are still at least a few hours left of results, but that doesn't mean Americans aren't freaking out about the terrifyingly close race between Hillary Clinton and Donald Trump. 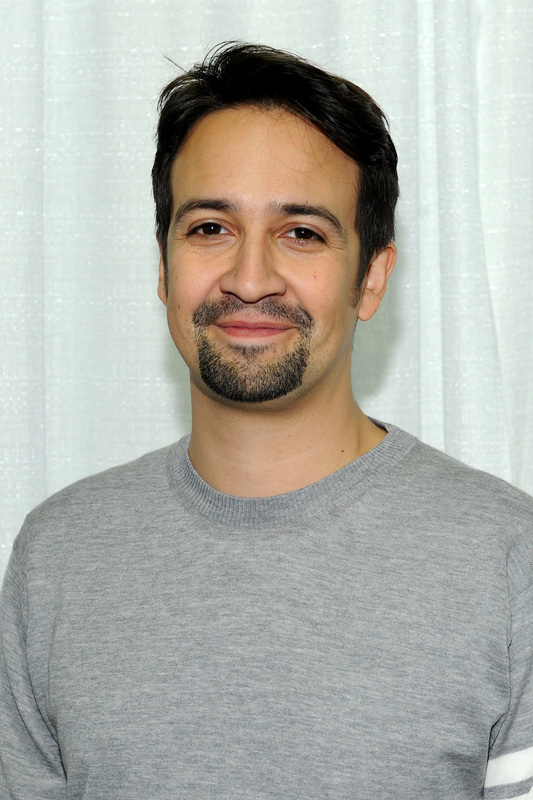 If you find yourself having a lot of panic over it all, how Lin-Manuel Miranda is coping with the 2016 election anxiety should ease your stress a bit. The Hamilton creator and star has taken to Twitter in order to soothe everyone in a calm manner, and it's actually kind of working. The star first simply tweeted, "Breathe," alongside a gif of Anjelica Huston as Morticia in The Addams Family saying, "We will survive." He then reiterated himself in response to a CBS News Politics tweet that read, "No battleground states have been called for either Hillary Clinton or Donald Trump." Miranda replied, "I said BREATHE. (I am talking to myself too, y'know)." Do you feel better yet? Don't worry, there are more tweets from the Tony winner. Like pretty much everyone else, the musical genius is finding solace during this rough night in chatting with his friends. "I am on a google chat with my best college friends, with whom I weathered '00, '04, '08, '12. Their faces are making this so much better." That's what friends are for, after all — to help ease the pain, anxiety, nervousness, and worry over one of the most important elections in U.S history. Miranda then went on to reflect on past elections, the outcomes, and how the nation dealt with the outcome of each. "In 2000, we were at Wes. We had some Nader voters among us, mouths agape. We wailed on Foss Hill, went to bed not knowing who was president." He added, "In 2004, no matter how many times we listened to Eminem's Mosh, it did not go our way. We got sourly drunk. 2008 and 2012 were pretty dope. We danced in Union Square." He has a way with words, doesn't he? Thank you, Miranda, for bringing a little bit of relief to this hectic night. If you find yourself having a hard time relaxing, be sure to look to the Hamilton star for help, as he just may calm you down enough to get you through it all in one piece.